As low as $39.99 per oz over spot! Theres nothing quite like a gold coin that has the look and feel of a piece of ancient coinage. 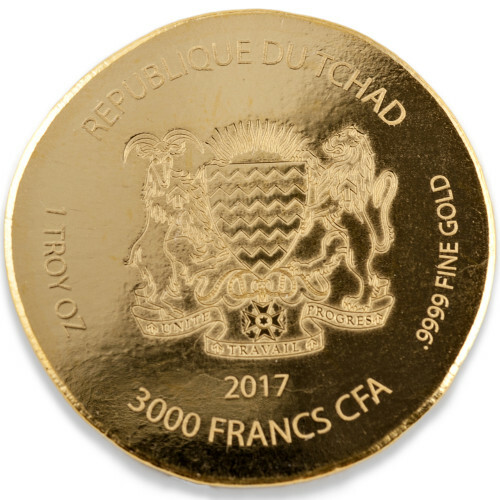 The all-new Republic of Chad Eyptian Relic Series brought this concept to life at the Scottsdale Mint in 2016, and investors looking to buy gold have a brand-new option from this popular series. 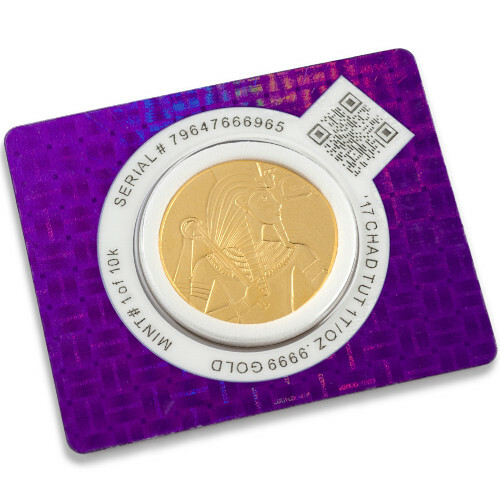 The 2017 1 oz Republic of Chad Egyptian Relic Series King Tut Gold Coin is available to you today online from JM Bullion. Arrives in a Certi-Locked plastic case with unique serial number! Part of the Egyptian Relic Series! Limited mintage of only 10,000 coins! Issued a face value of 3,000 Francs (CFA) by the Republic of Chad. Obverse features the right-profile hieroglyph of King Tut. Reverse includes the coat of arms for Chad. One of the greatest discoveries of the 20th century was that of the tomb of the boy king of Egyptian, better known as King Tut. Ruling for just nine years and dying at the age of 19, King Tut is one of the best known Egyptian pharaohs. King Tut’s tomb was first discovered by a British Egyptologist in 1922. Inside were the remains of a pharaoh who, to that date, had been relatively unknown and lost to the history of the world. Previous installments in the Republic of Chad Egyptian Relic Series from the Scottsdale Mint include a 5 oz King Tut silver coin, as well as a 2 oz Horus silver coin. These products had many of the same finish features, such as an ancient look and feel to the coins. On the obverse of each coin is a right-profile portrait of King Tut. The Boy Kings image is all youll see on this face as there are no text engravings on this face of the coin, but the incuse design and rough finish are further enhanced with a rimless design that adds to the ancient appeal of the coins. 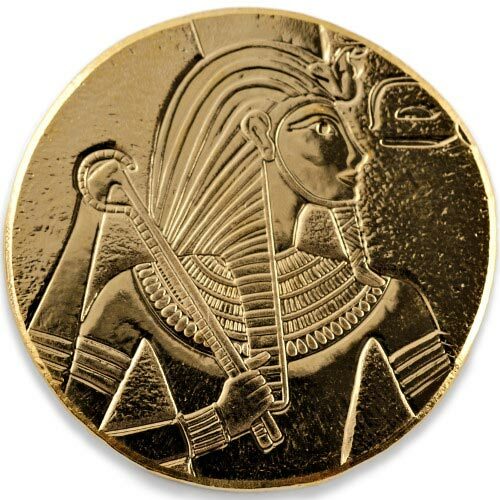 Each 2017 1 oz King Tut gold coin listed here is in BU condition. Coins in this condition have no signs of wear and tear, though you may notice minor flaws such as breaks in the luster, spotted surfaces, and contact marks from the striking of the blanks at the mint. We encourage all JM Bullion customers to contact us with questions. You can reach us on the phone at 800-276-6508, on the web using our live chat, and via our email address.